Rural romance meets Blue Heelers in this cosy mystery about an outback cop, from the author of The Swallow's Fall series. 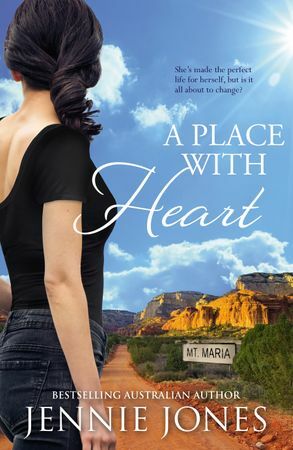 Jaxine Brown has made a good life for herself in the Western Australian outback town of Mt Maria. But the homecoming of her teenage daughter, Frances, changes everything. At only seventeen, Jax was coerced to give up the baby to Frances's father and his wife. Finally, she has a chance to make it right, and hasn't got time to think about recently returned Detective Senior Sergeant Jack Maxwell, who inexplicably disappeared in the middle of their only date last year. But Jack's back in town to investigate suspicion of drug trafficking and the man he's watching works in the closest mine to town. He expects to have this case wrapped up in four weeks, and feels he can take his time, not only with the case but also with Jaxine Brown, the woman he hasn't been able to get out of his mind. When graffiti and vandalism escalate in an issue involving stolen animals, Jax and Frances are unwittingly drawn into a mystery connected to the same mine Jack has under surveillance. Can Jack get to the bottom of the furtive goings–on, and do whatever it takes to protect the would–be family that's wound its way into his heart? A new outback romance from the bestselling author of The Swallow's Fall series.